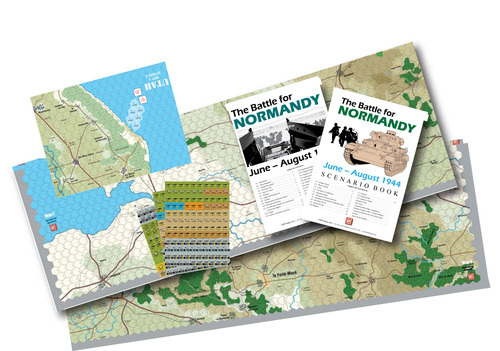 This Expansion Set for The Battle for Normandy allows players to extend the campaign game to the end of August, but most importantly includes the area for the Mortain and Falaise Pocket scenarios. Counters are included to fill out Allied and Axis Order of Battles to the end of August, and also include specific breakdown counters for AT, SP AT, and mechanized infantry. The Full Color Rules & Scenario books are updated and comprehensive, and include all original rules and scenarios plus all optional rules, and 6 new scenarios. 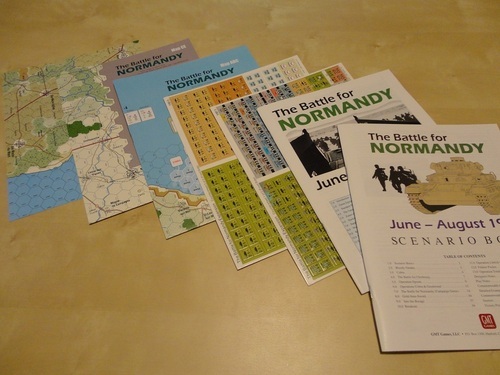 1 Scenario book (color): Originals plus 6 additional including Falaise Gap, Mortain and Operation Totalize - 12 scenarios in total (64 pages- dated 2013).